Inspired by the The Wuthering Expectations Portuguese Literature Challenge of Amateur Reader, I have begun for the first time ever in my reading life to explore 19th century Brazilian short stories. 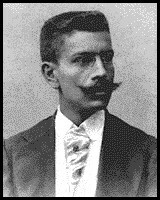 Coelho Netto (Rio de Janeiro-1864 to 1934) followed a familiar path to his fiction. After completing law school he began to write for magazines and newspapers and from there he developed the confidence and skills to write fiction. He was also involved in politics, being at one time a member of the Brazilian congress representing part of the Rio area. His father was of Portuguese descent, his mother of indigenous background. Many of his stories and novels are about the lives and folk ways of the very multifarious Indian societies of Brazil. Of course almost no one from such a back ground could have read his stories in 1895 so he is presenting a view of Indian society that conforms to Portuguese mentalities of the time. "The Pigeons" centers on a married couple of Indian heritage who are terribly worried over a sick infant son. They have no access to real medical care for the boy. The biggest preoccupation of the husband has always been his pigeons. He maintains a roost for them and feeds them. It is never made clear if this is in part an economic activity or not. As the boy seems to get sicker and sicker he notices the pigeons are leaving the roost. He and his wife both take this as an omen of the coming death of the boy. The man takes his anxiety out on the pigeons. He destroys the roost he has maintained for years and the pigeons flee in terror. Two young nestlings fall to the ground. He picks them up and in his frustration and pain, he wrings their necks and throws them to the ground. Just as he does this he hears a scream from his wife that their beloved so much wished for son is dead. The wife tells him that the boy died at the exact time he killed the two baby birds. This just a simple story that gives us a window on another time and place and lets us see the common humanity in people that may at first seem very remote to us. "The Pigeons" is included in Brazilian Tales, a collection of pre-1920 short stories selected, introduced and translated by Issac Goldberg. You can download this book from Project Gutenburg in several different formats. I plan to post on one more 19th century Brazilian short story next week. I don't really have anything constructive to add to this, but Netto's moustache is EPIC. Seriously! Laura-I think moustaches like that were all the rage! This was an especially touching story. It reminded me a bit of Eudora Welty. I finally put up a little post about this book. I emphasized your point that even if these are not the world's best stories - although they are all quite good, actually - they are all useful in the way you describe. The Machado de Assis stories in the collection, whatever their atistic merits (and I have serious doubts about one of them) are less useful, tell us less about Brazil and its people. Thanks again for finding this book.